Fiat Chrysler said Tuesday its third-quarter sales and market share were down in Canada, where CEO Sergio Marchionne says the current fiscal climate is not conducive to FCA making money. The Detroit automaker, which has Ontario facilities in Windsor, Brampton and Etobicoke, said it sold 65,000 units in the quarter, down 18 per cent from a year ago. FCA recently changed its method of reporting sales and has also applied that same, new methodology to change historic sales data, as well. Its market share in Canada stood at 12.6 per cent in the third quarter, down 240 basis points, while shipments in Canada were down 9,000 units, or 13 per cent. This is in sharp contrast to the Canadian auto industry that’s forecast to have record sales in 2016. Marchionne said on a conference call Tuesday, “things are getting expensive” in Canada. Marchionne said that the falling Canadian dollar is making FCA’s Canadian plants “more competitive,” but said the same currency devaluation is making FCA’s products more expensive to Canadian consumers, resulting in lost sales and market share. Marchionne didn't say why or to which competitor FCA was losing market share in Canada. Globally, including the Canadian financial numbers, FCA reported a 29-per-cent rise in third-quarter adjusted operating profit and raised its 2016 profit forecast for the second time this year, boosting the target on robust demand for Jeeps, even though recall costs weighed on the company's results. The company reported adjusted earnings before interest and taxes of 1.5 billion euros (Cdn $2.2 billion) for the third quarter. The earnings came on flat revenues and despite some headwinds in North America, its largest market. The company said its net income improved to 606 million euros (Cdn $879 million) this year after a surprise loss of 387 million euros (Cdn $561 million) during the same quarter a year ago that was the result of regulatory and recall costs. Sales were largely flat in the quarter at 28.6 billion euros (Cdn $38.9 billion). The world’s seventh-largest automaker -- and the only major automaker with more outstanding debt than cash -- saw what its leaders said was a “seasonal” increase in its net debt position in the quarter to 6.5 billion euros (Cdn $9.45 billion). But both Marchionne and CFO Richard Palmer predicted net debt would fall below 5 billion euros (Cdn $7.3 billion) by year’s end on plans to use 1.5 billion euros (Cdn $2.2 billion) in cash to pay down outstanding debt by the end of the year. 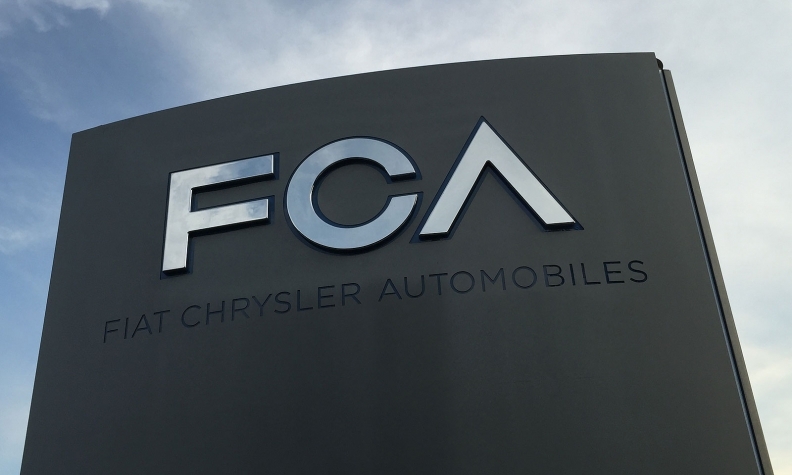 FCA said its overall profit margin had grown to 5.6 per cent, while its North American profit margin rose to 7.6 per cent, both of which still lag behind its two competitors in Detroit. • FCA’s pickup truck plants in Warren, Mich., and Saltillo, Mexico were running “flat out,” and that the lack of additional truck capacity had kept FCA for more aggressively pursuing profitable commercial fleet sales. • The new Giorgio rear-wheel and all-wheel-drive platform which underpins the Alfa Romeo Giulia sedan and the coming Stelvio crossover was proving even more adaptable than anticipated. Marchionne said the platform would be spread to other brands and “may spill over into Jeep.” The Giulia is expected to go on sale in North America by the end of the year, while the Stelvio will be shown at the Los Angeles Auto Show next month, Marchionne said. • The changeover of FCA’s North American manufacturing footprint is continuing, and won't be completed until 2018. However, he said, once completed, the switch from passenger cars to pickups and utility vehicles would result in “double digit” margins. • "Best-in-class margins” from North America “remains a key objective,” he said. Third-quarter profit in North America rose to 7.6 per cent of sales from a margin of 6.7 per cent a year ago. Marchionne also said that there would be no sale of the company’s components subsidiaries, Comau or Magnetti Morelli, in the fourth quarter, but declined to comment on whether such a sale could occur after that. Bloomberg and Automotive News staff contributed to this report.